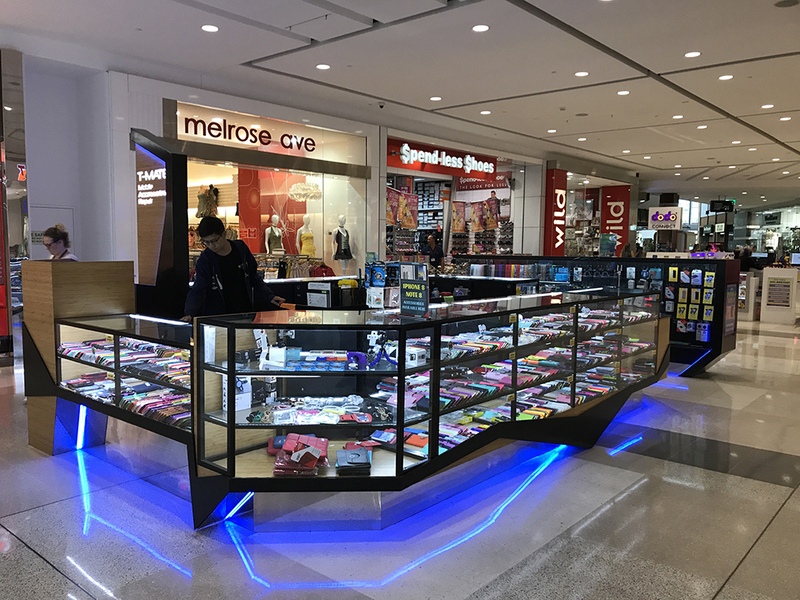 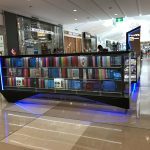 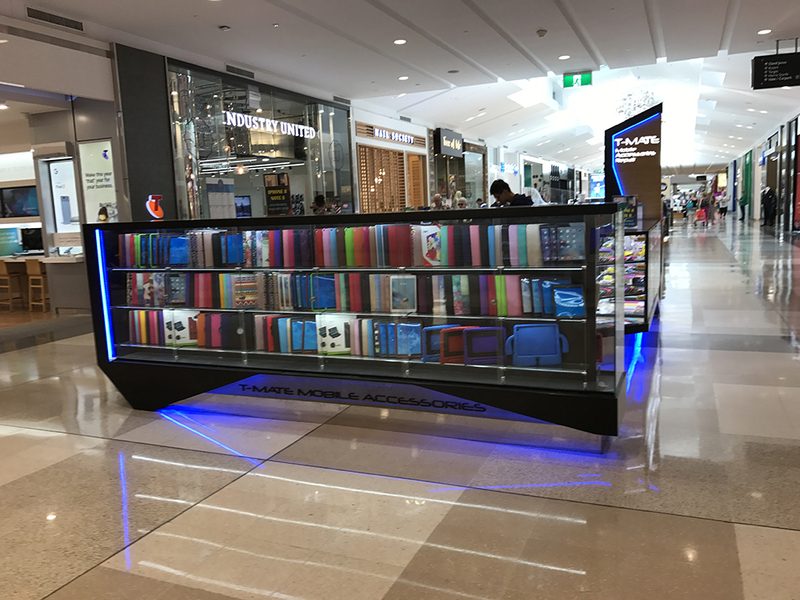 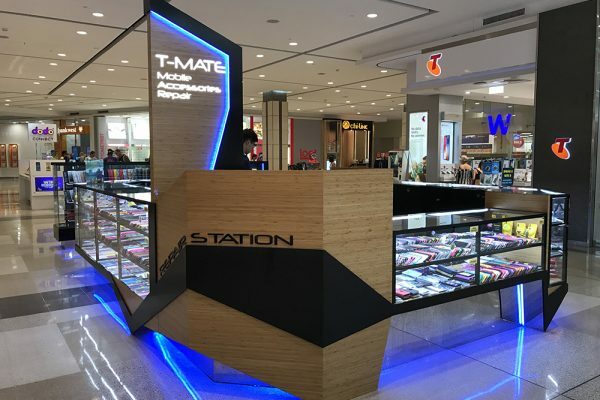 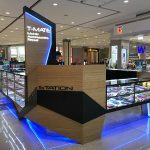 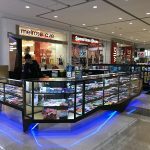 The custom-built kiosk design combines joinery, steel framing, glass panels and LED lighting along with security features to provide a crisp, modern setting to showcase the merchandise. 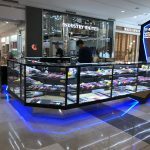 The use of neutral colours and materials provide the perfect backdrop without detracting from the stores range of accessories. 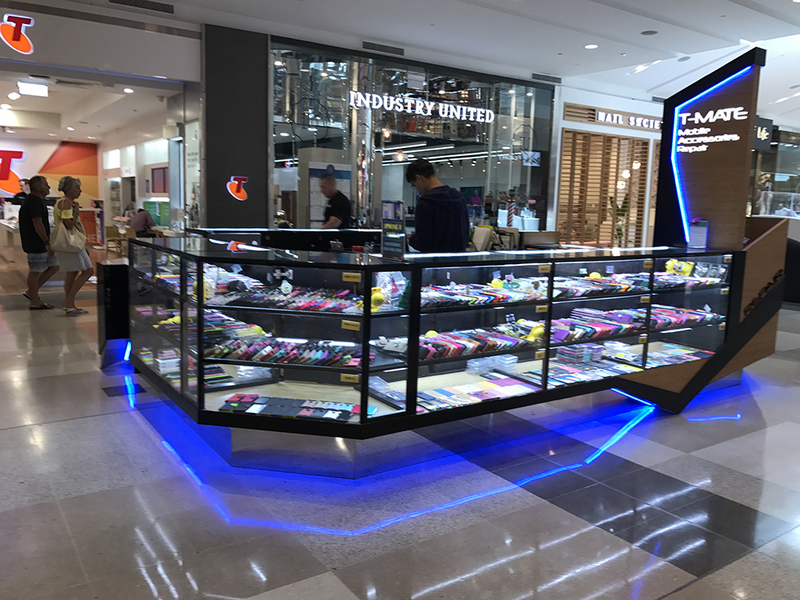 Working in the middle of an active shopping centre required through project planning. 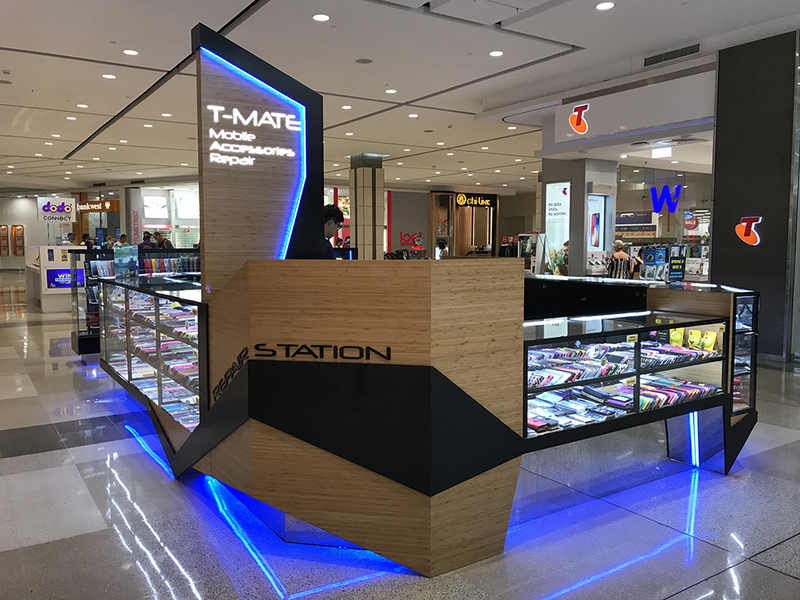 A combination of day and night time works were necessary to ensure minimal disruptions to the centre patrons.